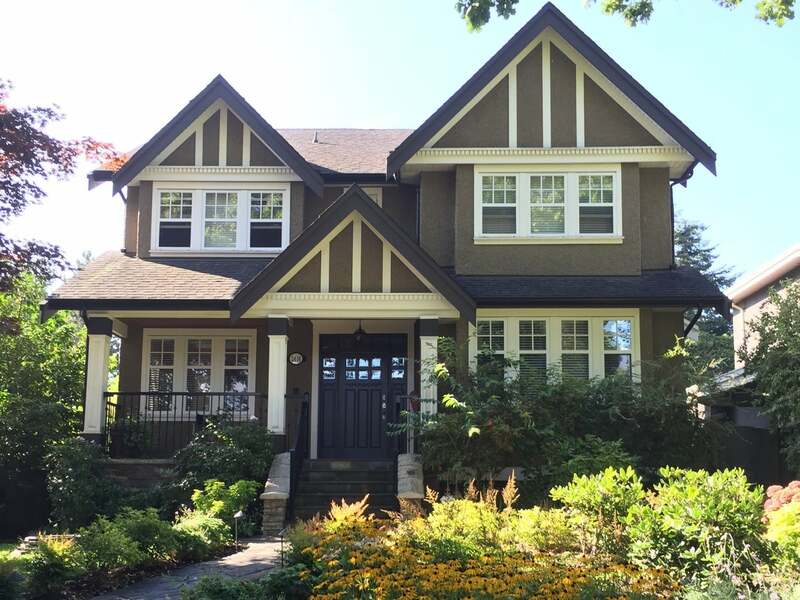 A spectacular, traditional home in the quiet heart of Kitsilano. This 6 bed, 6 bath craftsman was built in 2005 and has been impeccably maintained. Floating floors, Karastan wool carpets, coffered ceilings and wainscotting throughout brings an air of richness to your living. Upstairs offers 4 beds w 3 ensuites. The main floor living and dining room are elegant and well-suited for entertainment. The kitchen and family room flow to a SF deck & private yard. Downstairs is a 1 bed suite, laundry, office and rec room, and a generous wine room for the discerning oenophile. You're a block from Kits Secondary, minutes from Tennyson, St. Johnâ€™s, Madrona schools. Kits Beach & West 4th are within easy reach. Itâ€™s a stunning home on a gorgeous block in a timeless n'hood, and it's waiting for you.